Viet Nam is at a critical and exciting crossroads as it seeks to innovate its industries, strengthen institutional development, and widen its reach into global markets. Viet Nam’s meteoric economic rise since 1986 has enabled the country and its people to increase living standards, reduce poverty, and achieve lower middle income status. Looking ahead, there will be new challenges, and great opportunities facing Viet Nam with questions such as: what economic, educational, scientific, and technological direction(s) will Viet Nam take to garner realistic sustainable growth? The possible outcomes is of vital interest to many domestically, regionally, and other international stakeholders. 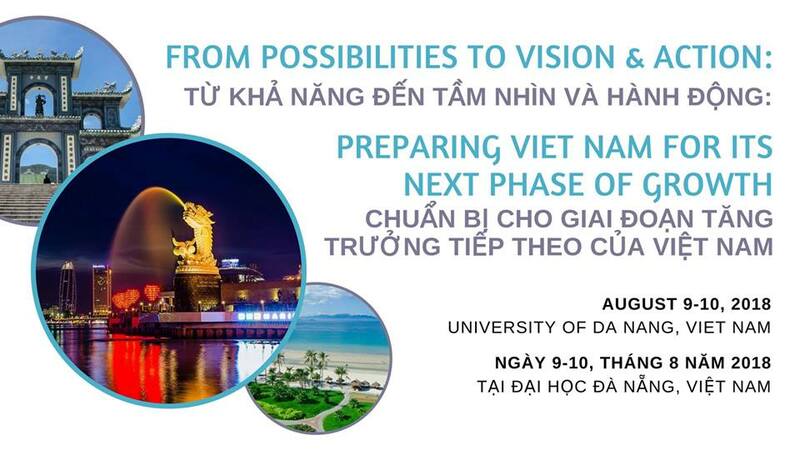 The “From Possibilities to Vision and Action: Preparing Viet Nam for Its Next Phase of Growth” conference, organized by the University of California, Davis and the University of Da Nang, brings together academics, industry experts, government officials, leading cultural producers, and youth to discuss Viet Nam’s development question. 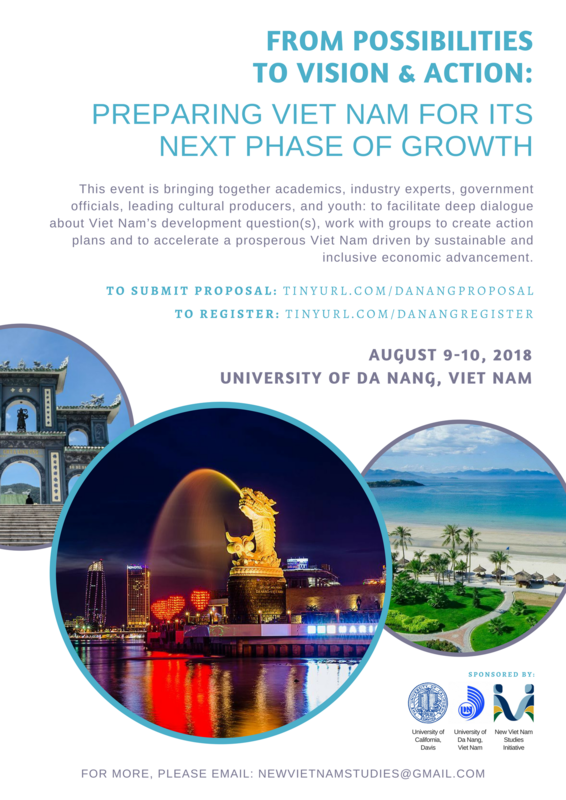 Our two-day conference, August 9 and 10, 2018, will feature speakers from diverse industries and institutions, breakout sessions for continued debates, and working groups with action plans – all to facilitate deep dialogue and to accelerate achieving a prosperous Viet Nam driven by sustainable and inclusive economic advancement. We hope to see you in attendance! Please help us disseminate the info to your networks.